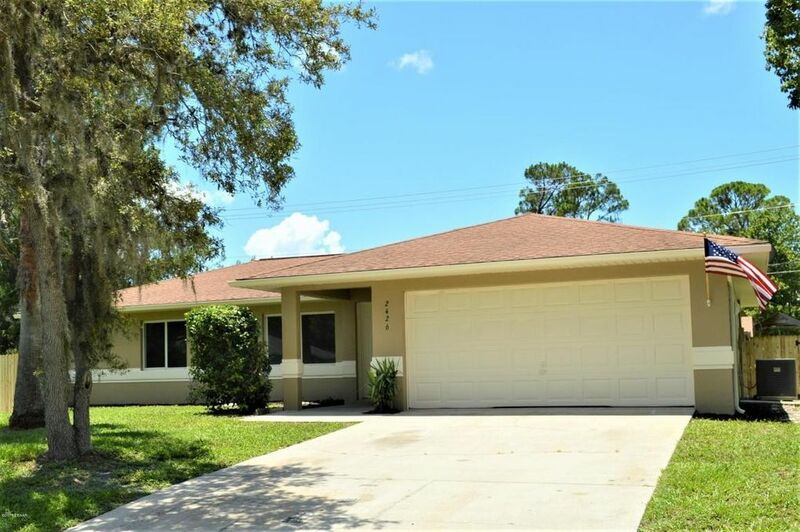 This suburban home is remodeled, clean and move in ready in Florida Shores. This home has a large open floor plan and is light and bright with vaulted ceilings. New interior and exterior paint, New kitchen and New stove and refrigerator. New hot water heater too. All bedrooms are large and each has its own walk-in closet. The kitchen/dining/living-room design allows for family gatherings where everyone is together. Nice back patio is screened and large backyard is privacy fenced on the sides and gated. Includes large two car garage. Perfect family home or starter or retirement home with central location to shopping, restaurants, the riverfront parks and the beach. Close to expressways for ease of travel to and from work. Come see...SOLD AS IS, inspections welcomed.